I’ve been thinking a lot recently about the one guy who taught me more about painting in the shortest amount of time than any other…Sir Cotti. 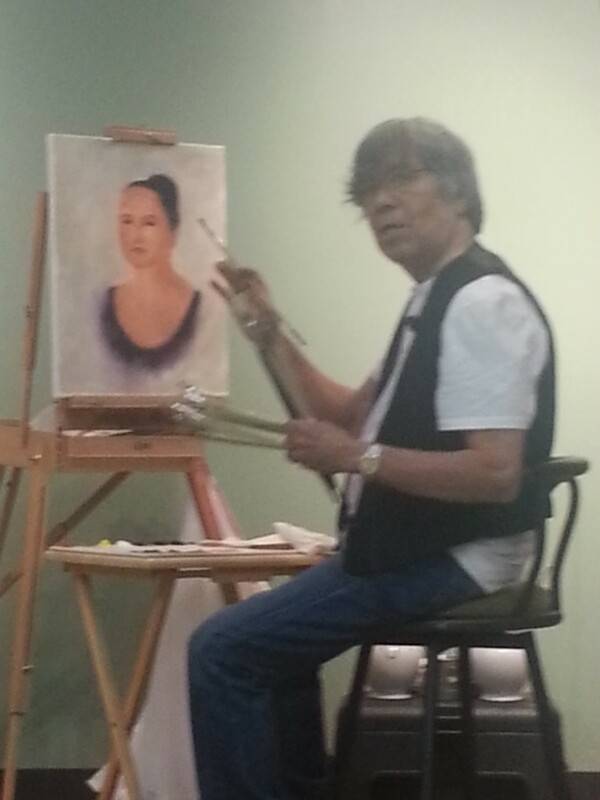 I’ve lost touch with him over the years but I see he’s still painting and is nearing 80 years old. He was a real character when I knew him. I spent about six months studying under him, off and on, back around the year 2000, when he was living in Scottsdale, Arizona. He lived a mere block or two away from the prestigious Scottsdale Artists School, yet I think he hardly ever went there and for me at least, his teaching way surpassed anything I ever obtained there. He was fussy! A typical session would require first stopping off at his place, then a trip to the grocery store to get cough drops, water or whatever it was he was wanting at the time. He was used to being catered to and obviously had a throng of hanger-on’s (I’d like to think of myself as a more serious disciple, but I digress). I Sometimes I would show up there in the afternoon and would have to wade through the clutter of the previous night’s party. To say Cotti is a character was an understatement. However, he was always a very good guy, easy for me to talk to, frank, and I can say I learned more from him in my first lesson that from any other artist, period. Which is why, while searching around on eBay recently, I snapped up this painting he had done sometime in the past. 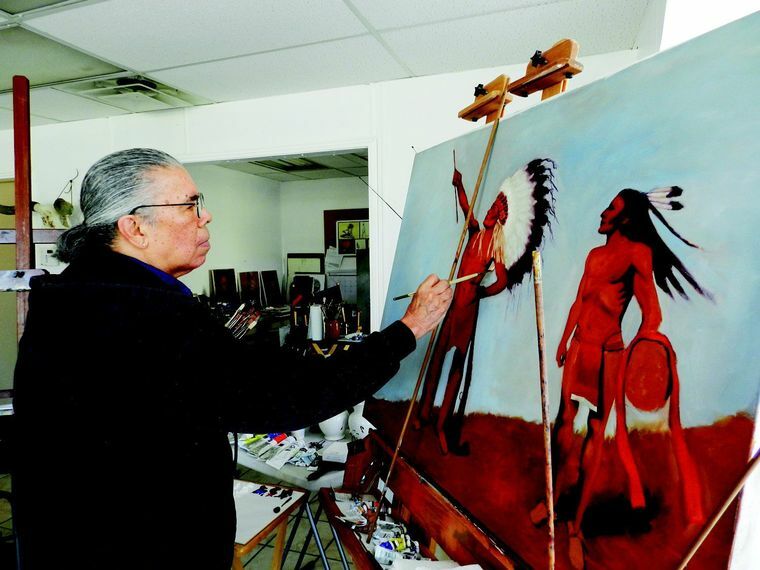 Brushes with fame and glory illuminated the road from California to Muskogee for an internationally renowned artist who now makes his home here. The journey for Cotti – his professional name – began at age 16 in Los Angeles, where he lived with his parents and seven siblings. His art — and Uncle Sam — landed him at least three overseas gigs. 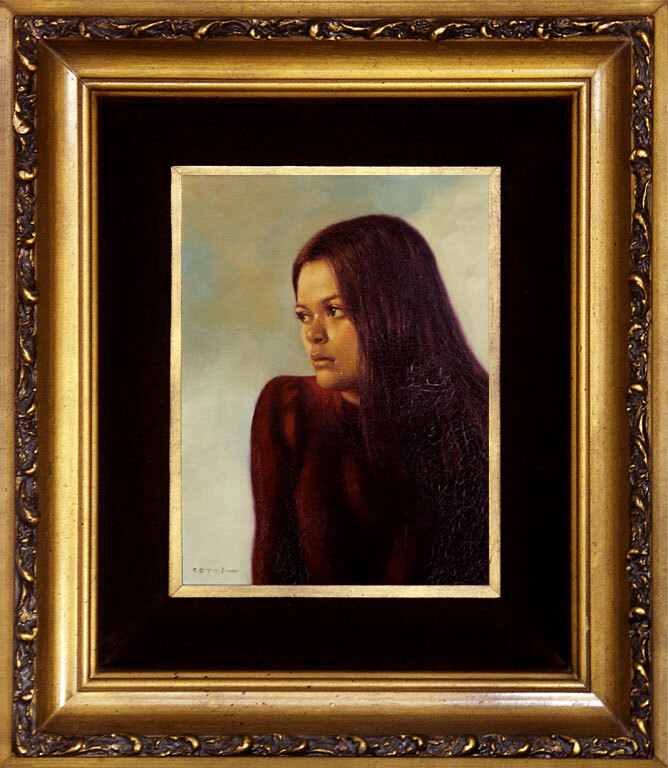 The artist, born in 1935 as Marcos Cotti Lorango Jr., launched his professional career early, exhibiting his first works at age 11. He earned his first commission at age 16, getting special permission to travel from school to the Paramount Theater to work on a project for which he received academic credit. During the 1950s, Cotti studied at the Chouinard Art Institute, highly regarded at the time as a “hotbed of experimental art.” He later studied at the Frank Wiggins Institute, known for its apparel arts program, and fine art oil painting under the mentorship of Dino Sider. 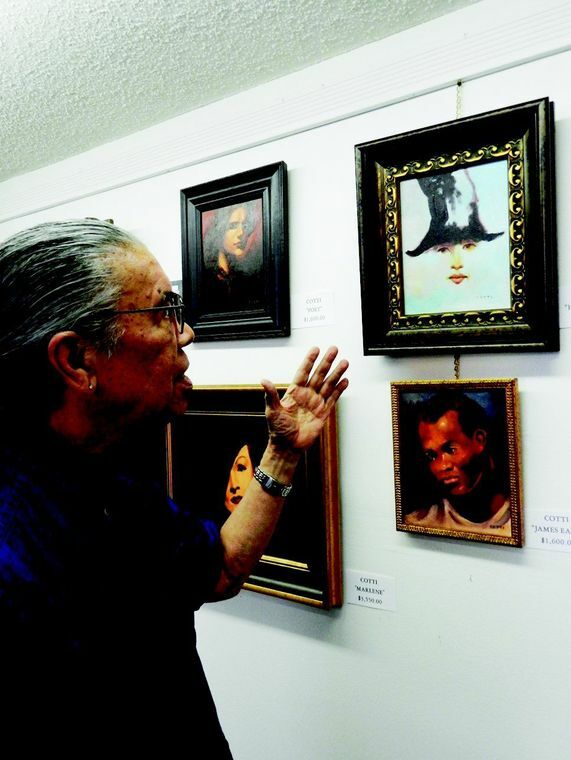 The talented choreographer, set and costume designer, and ballet dancer’s art career was interrupted briefly when the Army summoned him in 1958 to serve a stint in Korea. Cotti traveled to Europe during the 1970s and ’80s after earning commissions from the legendary filmmaker Orson Welles and the British pop-fashion designer Peter Golding. A family emergency brought him back to the U.S., where his reputation as an artist continued to flourish. Three years ago, Cotti moved to Muskogee to join his sister Sylvia Swan, and her husband, Dean Swan. Cotti, 77, has a small downtown studio, where he teaches the “old-school style” of fine oil painting. HOMETOWN: Muskogee and Los Angeles. CAREER: Artist, painter and teacher in the Dutch school of art. 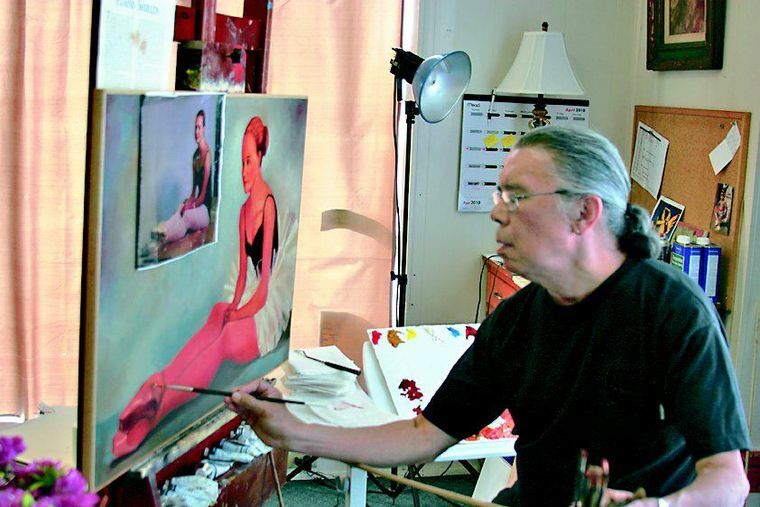 EDUCATION: Chouinard Art Institute, Los Angeles; Trade Tech – Frank Wiggins Institute, Los Angeles; studied oil painting with mentor Dino Sider. FAMILY: Most of the Lorango family lives in California. The Swan family, with whom I live now, is originally from Oklahoma. HOBBIES: Swimming, bicycling and sightseeing. Art, for Cotti, comes naturally. After all, his family had exhibited an artistic streak for as long as he can remember. He said he had an uncle in Mexico who painted portraits, and sculptors came from his father’s family in the Philippines. A brother became a “fine artist dealing with glass and mirrors,” and a sister was a fashion model, he said. Cotti’s reputation as an artist bloomed at an early age while he attended school in what he described as the “poor part of town.” He began exhibiting his work at age 11. Word of his work spread throughout the city. At 16, Cotti landed an assignment that catapulted his professional career — the chance to capture on canvas the stage performances of Josephine Baker. Baker, a St. Louis native who started as a vaudeville performer before becoming a sensation in New York theaters and a hit in the Parisian cabaret, was performing in Los Angeles. Captivated by Baker’s elegant wardrobe, Cotti featured her in some of his drawings. Cotti pursued his formal education at prestigious art schools in the Los Angeles area, where he studied the classics, fashion and dance. An accomplished costume and set designer and dancer, Cotti began working in the theater. Discharged in 1960, Cotti continued his pursuit of the arts, studying under a veritable list of Who’s Who in the classical arts. 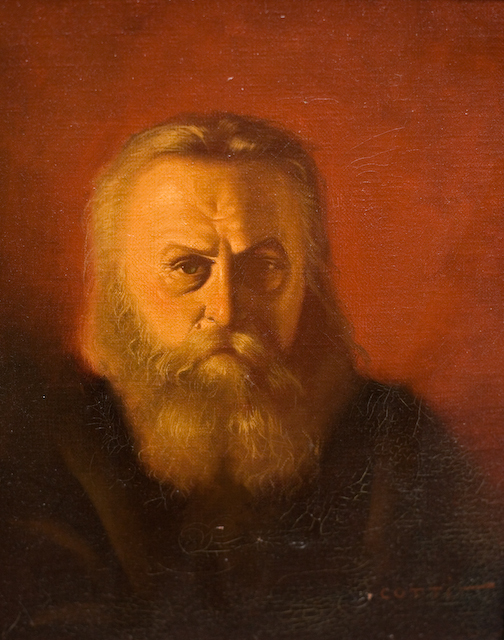 In the early 1970s, Orson Welles commissioned Cotti to paint his portrait. The famed filmmaker, who was living in Paris at the time, was recruited by the shah of Iran to help bring the 20th century to his country. Welles was working on his final film, “The Other Side of the Wind,” which never was finished. “The money was endless, and I had carte blanche — it was quite a wonderful commission knowing the flow of money from the shah was keeping us all happy — and Orson was quite an experience,” Cotti said. Cotti’s work caught the attention of Peter Golding, a pop-fashion icon in Great Britain. He commissioned Cotti in the 1980s to paint a portrait of his girlfriend in London. Cotti opened a studio there, but after a year, a family emergency brought him back to California. But Cotti continued his artistic endeavors stateside. He was invited by MGM’s film historian Jim Jeneji to paint a portrait of Marlene Dietrich from his personal collection of photographs. Dietrich saw Cotti’s work and commissioned another portrait. Today, Cotti’s passion for art survives and he works out of a small studio in downtown Muskogee, where he lives with a sister and brother-in-law. 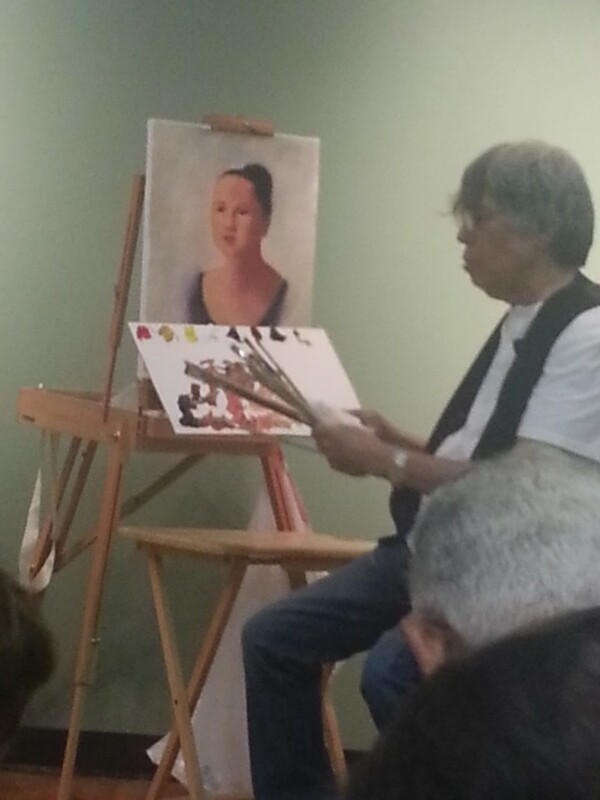 Cotti teaches new students the “old school Dutch style” of fine oil painting from his studio. He also donates his time one day each week to work with veterans. He still paints originals. How did you come to be an Okie from Muskogee? I relocated here because my brother-in-law and sister live in Muskogee and offered me the opportunity to relocate. Dine out, watch movies, read and go sight-seeing. How do you make a living in Muskogee? What would make Muskogee a better place to live? Better transportation and increased involvement in the arts. Is there an Okie from Muskogee who you admire? Dean Swan because of his sense of humor and life experiences in Europe. Dean is knowledgeable, experienced and well-read. He is loyal to his family, friends, fellow veterans, associates and the community. What’s the most memorable thing that has happened to you since you have lived in Muskogee? Being voted among the top 10 artists in the Azalea Festival and Concert in the Park competitions and receiving an award from the Department of Veterans Affairs for the national competition. How would you sum up Muskogee in 25 words or less? I am impressed by the passion of the members of the Muskogee Art Guild, the Arts Council and the city’s efforts to bring Muskogee back to life and witnessing it happen. This entry was posted in Art Instruction and tagged cotti, instruction, oil painting on December 26, 2014 by Kevin Moore. I recently came across a painting that may have been painted by Cotti. Could you please tell me how I may determine if this is correct? I have two beautiful small paintings by Cotti. I would love to know what their monetary values are. Can you help me? I am not an expert on the value of his paintings, I keep getting asked this. I guess it would depend on the size, when he painted them, etc. I’ve seen his paintings go from $100 to several thousand dollars. I just picked up a beautiful portrait of a young lady signed By Cotti. I would love to know some of the history behind the subject. I have left a link to an image of the painting. That’s definitely a Cotti painting. I have no clue who the girl is or when this was painted. His painting career spanned from the Korean war to until recently, so no telling when it was painted. I recently Bought a collection Of his pieces about 12 pieces . they are all wonderful . most all portraits , two florals and one angel. Very nice, thanks for that add! I found 2 cotti pantings in my elderly uncles home after his death. They are framed and were purchased at kmart (the tag is on them) how do i know their value. Hi Kevin – My name is Denis Krych. 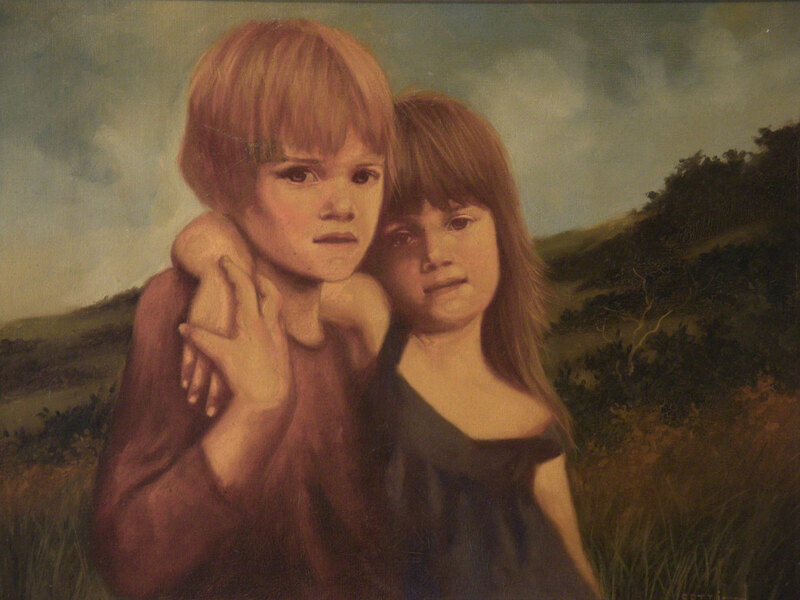 I have what I believe to be a Cotti painting, since the late 90’s. Are you able to help me to identify if indeed it is? Hi Kevin – I have owned what I believe to be a Cotti since the late 90’s. I live in Scottsdale, AZ. Are you able to help me identify if indeed it is a Cotti. I would need to see a pic of it of course. Can you upload it somewhere like flickr.com ? My friend Cotti passed away in November.He was a true friend and I shall miss him dearly. I was not aware of that…thanks for letting me know. I had tried to get ahold of him over the years but he was hard to reach.